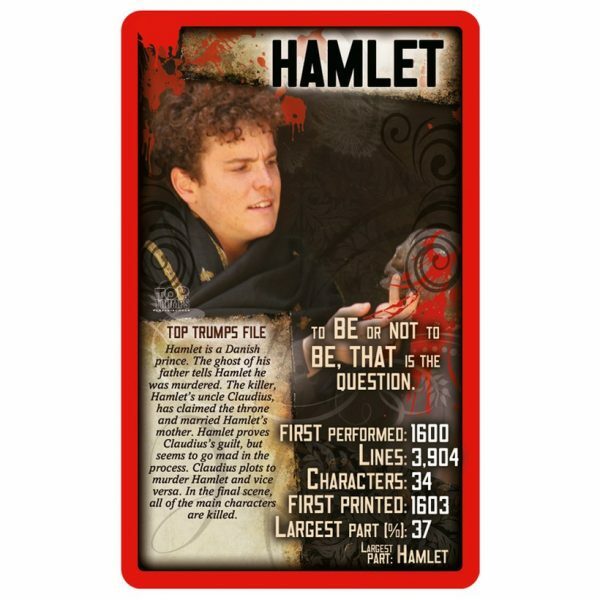 The game’s afoot  To play or not to play, that is the question? Wilt thou explore 30 of Shakespeares most famous plays; enter the bewitching world of Macbeth, or follow the star-crossed lovers of Romeo and Juliet on their fateful journey, immerse yourself with fairies and nymphs in the magical comedy, A Midsummer Nights Dream. 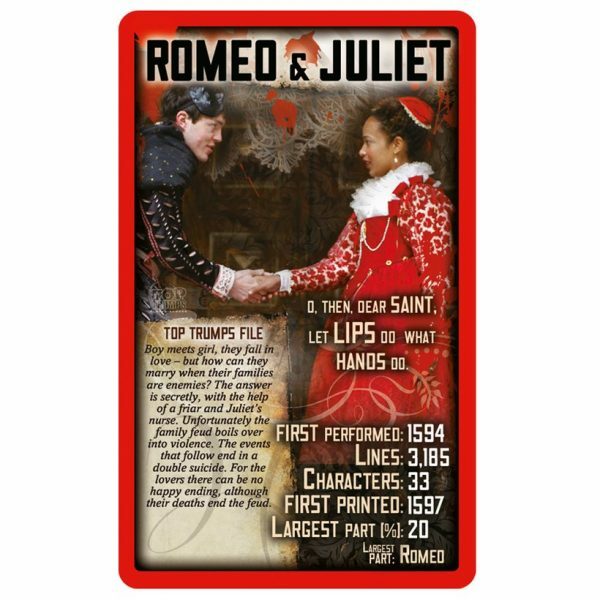 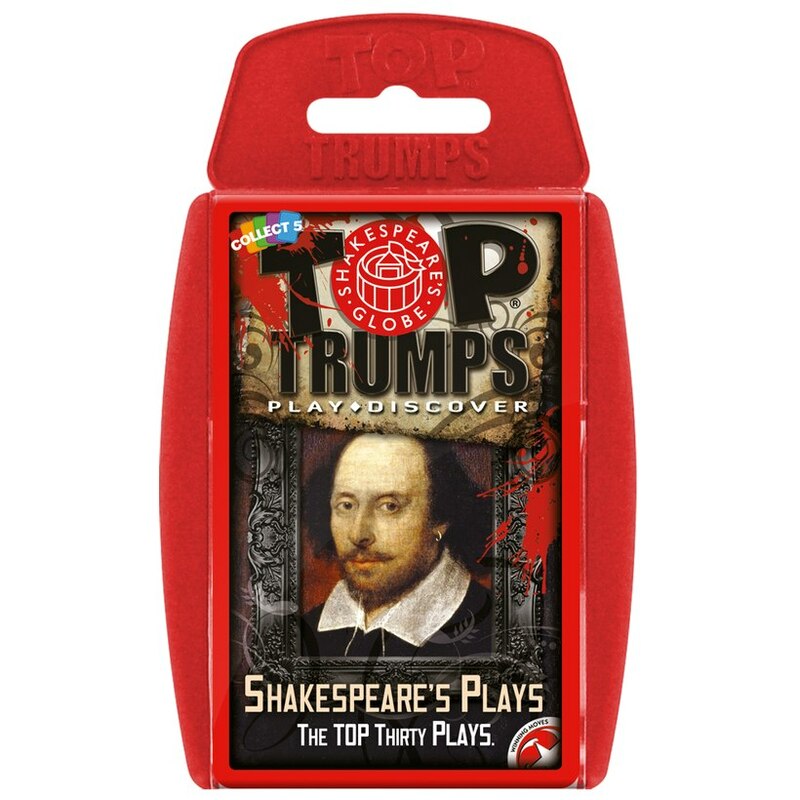 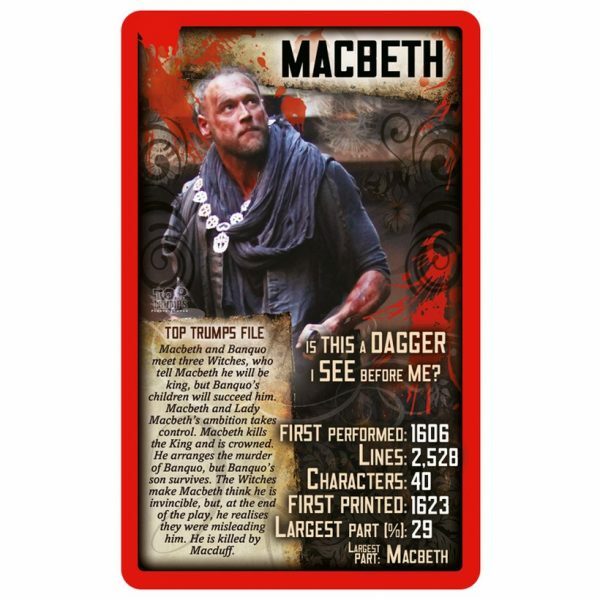 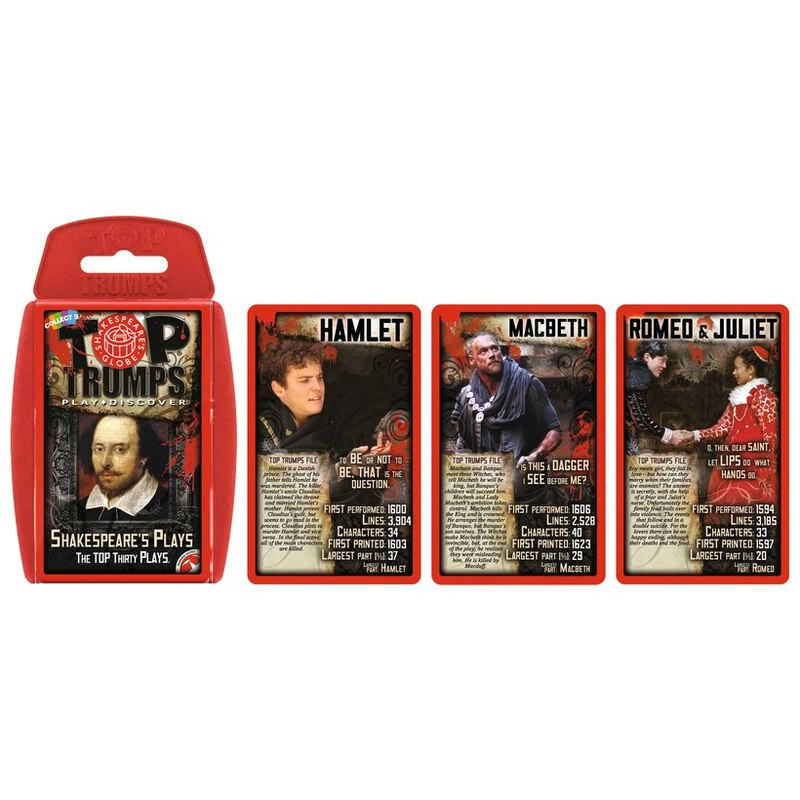 From the man who introduced over 1700 words into the English language, Shakespeares Plays Top Trumps includes famous quotes, fun facts and key information about each Shakespearean masterpiece.